It already got bad reviews in various places, especially A to B Magazine. 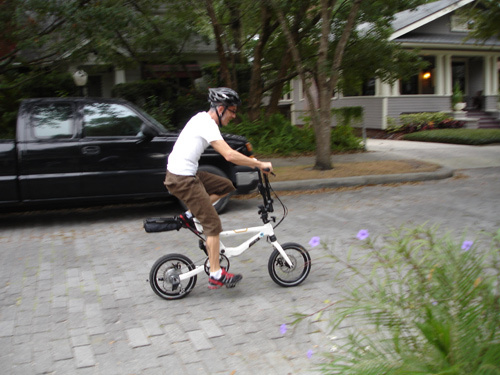 The folding bike standard is still the Brompton which folds to 3 cubic feet (Jango: 7.9 cubic ft.). 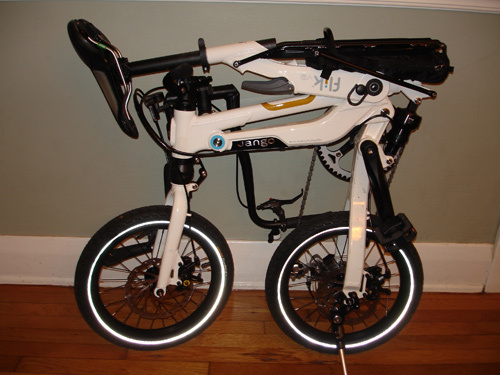 The Jango’s weight isn’t too far behind the Brompton which weighs between 9 kilos and 12, depending on the model. 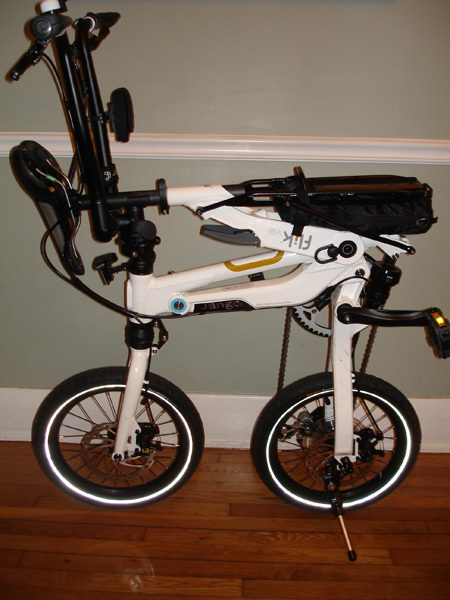 I guess it makes sense for the intermodal commuters, but I would probably go for a Dahon if I were in the folding bike market. That thing looks like a blast to ride. Those wheels are pretty small though. I’ll be waiting for your review of the ride. It reminds me of the gas powered mini bikes that were all the rage in the 70’s when I was a kid. Yep, I talked to Trisha about her Flik experiences so far. Pretty neat little machine. 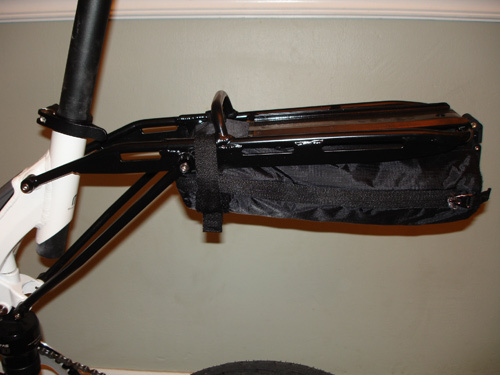 Ha…that one got away from me — I could have used the wheelie bar! 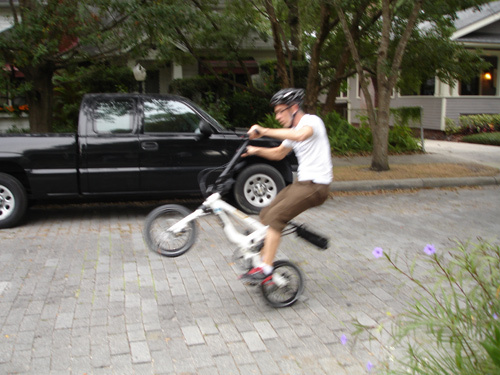 I got much better at it, though…could ride most of the block wheelie-style after a few minutes. 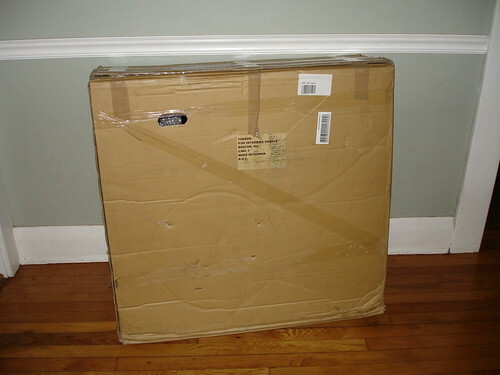 Now to build some sweet jumps. 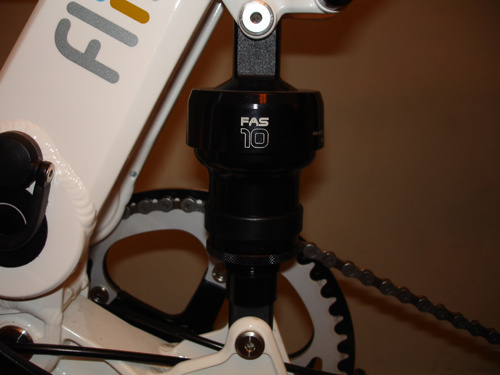 One bit of advice – get out your cable shears and trim the brake cable ends before you do much riding. 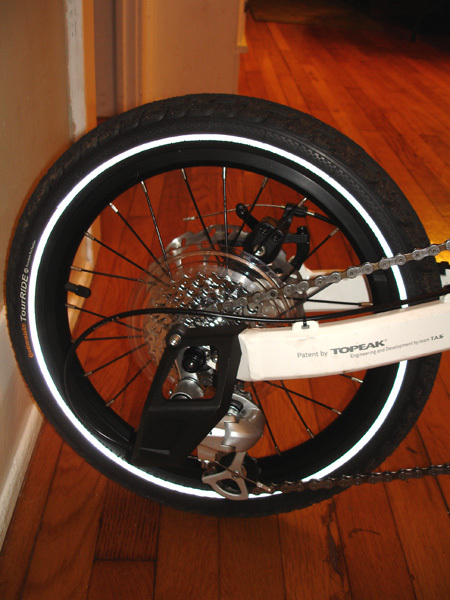 As they are now, they are long enough that the cable could get caught in the disc rotor, thus locking a wheel, which you would probably not enjoy. 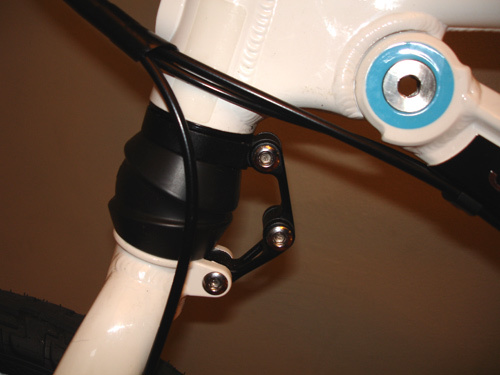 The cables should extend no more than 20mm from the binder bolt. Have fun!